In science fiction it’s easy to hop into your spaceship and blast off for other stars. But the true distances between stars, and the limits of relativity make interstellar travel almost impossible with our current technology. What would it really take to travel from star to star, exploring the galaxy? Fraser Cain: Hey Pamela, how are you doing? Pamela: I haven’t been doing that either. I’ve just been flying to other continents. Fraser: With the amount that we’ve seen in science fiction you would think we would be doing this all the time. It is our inevitable future. Yet apparently it is harder than we’ve been led to believe. Pamela: Isaac Asimov was just a bit off when he named his books. Fraser: In science fiction it’s easy to hop into your spaceship and blast off for other stars. The true distance between stars, the amount of energy involved and the limits of relativity make interstellar travel almost impossible with our current technology. What would it really take to travel from star to star exploring the galaxy? I guess we want to set the scene, right? When we think about science fiction we think about Star Trek and Star Wars and any number of Firefly. All these shows have a spaceship. They hop in their spaceship which for some reason is antigravity and they take off and somehow get to another star. What’s the problem? Pamela: Well the only way they’re going to get that antigravity is if they’re constantly accelerating at 1G or they’re spinning the spacecraft or something like that. Pamela: That was nice and simple. Then there’s that whole problem of how do you go that fast? We can get things going at 10ish kilometers per second as we fling very small things out toward Pluto. We really want to get things going at fractions of the speed of light if we want to be able to travel around just inside of our own solar system in reasonably small scales of time. You get between the stars and we don’t have a way of skipping over the speed of light so we can’t do the things that get claimed in shows like Firefly. Babylon 5, where they have portals and Buck Rogers, where they have portals, which at least allows some new technology of tunneling through space, maybe it could be created someday in the future. Fraser: Okay we’ll leave tunneling through space to a separate question. Just following the laws of physics as we understand them right now, what kinds of scales are we dealing with? Pamela: The first thing you have to overcome is just how long it takes to get someplace. The most comparable way to fly someone from point ‘A’ to point ‘B’ is to have a spacecraft that constantly accelerates up until the halfway point of the journey at an acceleration rate that simulates the acceleration of gravity here on the planet Earth. You’re always accelerating at 9.8 meters per second, squared. You’ll eventually actually hit the speed of light in less than a year but due to relativistic effects even though you don’t actually get past the speed of light you can still feel like you’re accelerating that fast due to all the different relativities kicking in. If you’re able to pull this off you can go to Sirius which is just 9.8 light years away. For you, you’ll only experience ten years of time going by. The problem is that people back on Earth experience 24 years going by. You’re essentially stepping through time to get to a new place but you’re also stepping away from your same age peers. If you travel all the way there and all the way back it’s going to be 28 years difference between your age and the age of the people you left behind. Fraser: Let’s sort of imagine this. You have some kind of spaceship and you have some kind of engine – which we’ll talk about in a second. You accelerate your spacecraft at 9.8 meters per second squared for as long as you can. You’ll get up to some significant fraction of the speed of light. Pamela: Then when you hit the midway point you turn your ship around and decelerate at 9.8 meters per second squared. Fraser: Right but you said that Sirius for example is ten light years away. If it is going to take you less than a year at accelerating, you’re then going to have to coast for eight years and then turn your rocket ship around and decelerate for the other way, right? Fraser: Whatever trip you’re going to do [laughter] to feel comfortable, right? You could I guess accelerate at half that speed and then have half gravity and then coast. At some point you’re going to have to coast, right? Pamela: With the relativistic effects you actually still feel the 9.8 even though you’re not compared to the folks at Earth accelerating at that 9.8 meters per second squared anymore. There are loopholes. Fraser: All you’re doing is just consuming more fuel to get up to that higher speed. I guess it sounds doable. You’re like well yeah, okay so it’s going to take me ten years. Or it will only take me four and a half years to go to Alpha Centauri which is a kind of sun-like world. That’s almost worth it, four years there, [laughter] four years back. So, what’s the problem? Pamela: We have no engines that work that effectively. Fraser: What’s the problem with the current kinds of engines that we have? A rocket can take off from Earth and so it can accelerate more than 9.8 meters per second, right? Pamela: The problem with a rocket is it consumes most of its mass. So, first of all it can only lift a very small amount of matter compared to how much stuff it burns up, how much stuff it spits out the back end to move you forward. If you’re trying to haul yourself halfway across the galaxy you can’t be carrying that much of a percentage of your mass in fuel. We have to find something that like we talked about in the last question show has a much better specific thrust. You’re able to get much more acceleration per unit of mass so that you throw out the back end of your spacecraft. Fraser: Is there a limit? If I had an unlimited amount of liquid hydrogen and oxygen to mix together somehow being delivered into my rocket could I just keep accelerating and accelerating? Pamela: Yes but the amount that you could accelerate would become significantly smaller. The ability of your engine to accelerate that spacecraft is limited by how much mass it is trying to move. It’s sort of like I can push a little kid in a cart really fast but I can’t push my Jeep. Fraser: Right but imagine I had some transporter device and I was transporting blobs of fuel into the spaceship and then I was burning them up. Pamela: So now you’re just going to invoke magic? Fraser: Of course, [laughter] I get to do that remember? I’m the one who has the fanciful imagination here. Pamela: The thing is now you’ve stepped out into the land of using transporter technology which is again not something we have. But ion drives we have. Fraser: I’m just using it to illustrate a point here. I’m saying that yeah obviously you have to carry all that fuel with you. But in theory you could just keep firing your rocket if you had an unlimited amount of fuel for your rocket. You could get up to that kind of speed. Pamela: The problem is it’s just not possible because of having to have such a huge starting mass. There are people who have looked for ways to get around it and we’ve talked about this in some of our past shows. One of them is as you’re going through the interstellar medium just scoop up hydrogen and use it as fuel. The problem is then you’re constrained to only flying through parts of space where there is a lot of hydrogen floating around. That doesn’t include our own solar system or anywhere near our own solar system. Fraser: Or have a bigger scoop. [Laughter] Okay so then chemical rocket, that’s sort of the problem is just the amount of fuel. What is our next option? Pamela: Ion drives are really the best ways of doing this. With an Ion drive you can actually add about 25 kilometers per hour each day to your speed which doesn’t sound like a lot and in fact it would take you 4,900 years to reach half the speed of light. With our current technologies this is really the best way to go. It’s also a way that we can start considering ways to improve that by creating bigger magnetic fields and basically throwing things out at a higher speed. If you throw things out the back end faster, it will move the front end faster as well. Fraser: I think that once again you’re still dealing with the same problem. It’s an issue of scale but at the end of the day you would still need an absolutely enormous amount of even ion engine fuel to be able to even get any speed. Now you said like the top speed – it would take you thousands of years to reach half of the speed of light. Does that once again just sort of depend on how many ion engines you have running at the same time? Pamela: Yeah, that’s true. That’s basically being overly practical looking at things that we have currently. Fraser: Right so once again if I had an unlimited amount of fuel and I had thousands and thousands of ion drives that were all emitting ions at the same time I could get better and better acceleration. Fraser: But the amount of fuel required once again take planet Earth’s worth of ions with you, right? [Laughter] It’s too much. Okay what else do we have? Pamela: Those are really the practical ways we look at traveling through space. We have standard rockets. We have ion drives. Solar sails are great when you’re in near stars. This is where you essentially let the sun’s radiation pressure push you around. You have to be near a star for that to work. We can also do things like gravitational slingshots but then you have to be within a solar system. To get through the space between the stars where you’re far away from any one given star for most of your journey what we’re looking at is ion drives which you can fuel off of radioactive sources and you’re looking at rockets. Really we’re trying to figure out how you make really effective ion drives. Pamela: Well there’s that but there’s the whole we can’t contain antimatter quite yet effectively. The idea with antimatter is you just destroy it. The destructive force if you channel that explosion out the back end of your spacecraft will hopefully push the front end of your spacecraft forward. It’s all about conservation of momentum. Fraser: But would that do the trick? Antimatter is incredibly dense energy for mass, right? Pamela: The trick is to use all of that energy to spit something out the back end of the spacecraft at a really high velocity. Fraser: You could be sticking together just a few grams. Not even a few grams, a few billionths of a gram of antimatter at a time and letting that blast out the back, right? Pamela: It’s not the antimatter that’s blasting a couple milligrams out the back end. You’re back to basically ion drive characteristics again. What you’d actually probably want to do is figure out how to use that antimatter explosion. Use energy it generates to increase something a bit heavier than the antimatter itself to an extremely high velocity and fling that out the back end of the spacecraft. To basically use the antimatter matter explosion as basically a propellant, you can imagine this as a potato gun where you might spray – I’ve seen students do this – spray a bit of deodorant into a small chamber and then set the deodorant on fire. It’s the expanding gas that flings the potato out one end and hurts the shoulder of the poor guy holding the potato gun on the other end of the gun. You could use the matter/antimatter the same way they use the exploding deodorant to drive some sort of propellant out. It’s that flying propellant – potatoes? Who knows – that actually does the accelerating. Fraser: I know you think we’re out into total fantasyland but this is all still laws of physics. If somebody brought you a nice bag, a nice held magnetically sealed bag of antimatter and said here you go, then we could theoretically start working with it. There is nothing in the laws of physics that would prevent that. We make antimatter all the time at CERN and places like that so it is just a matter of scale. I know I’m totally over simplifying everything. [Laughter] Who knows where we’ll be in a hundred years, two hundred years, or five hundred years, right? Pamela: One of the biggest problems is trying to figure out how to make antimatter in an energy efficient way. It takes so much energy to create it and is that really the best use of our resources in creating fuel. This is where we have to do the trade-offs between matter and antimatter or building the better ion drive using radioactive sources. Fraser: I guess it really is all about speed. If you want to get there quickly, say within a lifetime or within a reasonable amount of time for a human being you’re going to want to expend a ton of energy. If you’re patient, as you said the same kind of technology that is sending the New Horizons mission to Pluto could just keep going and head off to Alpha Centauri. It would just maybe take it 20,000 years to get there. Pamela: Yeah and that may not be the most useful way to get data back but it does mean we already have the ability to pollute our local corner of the galaxy with stuff. Fraser: You call it pollution I call it exploration. Pamela: If you’re sending a robot that’s going to be dead by the time it gets there, it’s going off as our dead ambassador. Pamela: Hopefully not carrying any smallpox with it. Fraser: Right, it would be hard to keep it going for 20,000 years or 50,000 years. You sort of glossed over solar sails but I had read that if you take your solar sail really close to the sun, like way close to the Mercury close and then let it go, it will get a lot of thrust. Then you can also use high powered lasers. You could almost have a highway where you have lasers that are shooting out and blasting the solar sails as they go by. Pamela: There it just becomes a problem of overcoming the total potential energy of the sun because yeah you gave it a lot of velocity while you’re in down near the sun. It’s going to lose that energy as it goes further and further away from the sun and the sun’s gravity is pulling and pulling on it. That’s where you have to look at the trade-offs. With lasers as much as the lasers are able to push on the sails, they’re also pushing themselves backwards. You have to expend energy keeping those lasers in place so that they can keep doing their job. Fraser: Right but that’s the laser’s problem. [Laughter] Let them worry about that. Pamela: This is one of those things that we often don’t think about is what energy went into making what you’re using. We often worry about styrofoam cup vs. reusable washable cup. If you’re using a kiln-heated ceramic cup the energy that went into heating that kiln-bakes ceramic cup is about 10,000 styrofoam cups worth of energy. We have to consider the energy that goes into creating as well as sustaining the things that we build. Fraser: Right and as you said, creating the spaceship, creating the lasers, keeping lasers in position, firing the lasers, etc. Pamela: All of these are costs that have to get consumed somewhere along the line. Fraser: We had talked about a flashlight. You could hold a flashlight and you could turn it on and it would actually impart a small amount of thrust. Could you use that kind of technology? Pamela: Then you just have to be able to power the laser’s powered lights. It’s not exactly an ion drive but it’s not all that different when you stop to think about it. The only thing is the photons themselves don’t have mass so they don’t really impart that much momentum on the spacecraft as they fly out the rear end. Fraser: But they’re going very fast. Pamela: They’re going very fast but you’re still better off flinging an electron and a proton out the back end. Fraser: Because they have a lot more mass and a lot more momentum, right? Are there any other technologies then to sort of feasibly travel that we can think of? Pamela: Feasibly no. These are the directions that we’re really looking in right now. It’s more efficient rockets, more efficient ion drives, more efficient use of radioactive sources. Pamela: That’s the same thing as an ion drive. Fraser: I guess it’s sort of in reverse, right? You could have some kind of cannon where your ship would fly through and it would get accelerated by the cannon. Pamela: Okay, there are two different ways of looking at using railguns. One is the military has actually looked at can they use railguns to fling things into outer space. Essentially you have two rails, run current through them and through the spacecraft that is in-between the two rails. The change in current, the change in magnetic field causes the spacecraft to accelerate very quickly forward. As it is flying forward through the magnetic field it eventually gets launched out the front end. They can’t really build these small enough to stick on tanks yet but they can cause brownouts very effectively around the Pickle Research Center in Austin where they’re working on these. Fraser: I guess the theory then is that you don’t really need to carry your propellant? You get it up to speed in the solar system and fire it off. Pamela: That’s a bit troubling and you can only get going so fast over a short distance. Otherwise you end up with pureed astronaut. Fraser: This is the other problem that you would have to have the acceleration be very long and steady. Either you would have to have an acceleration that was half a light year long that was slowly speeding them up. Pamela: Now you’re looking into building railguns bigger than our solar system. That gets into all sorts of waste of material type problems. Pamela: Then you don’t have to worry about puree as much. Fraser: Then you could accelerate thousands of times, tens of thousands of times the speed of gravity, right? I guess the thing that we’re dealing with this is robots vs. people. It always comes back to robots vs. people. You send people and now you have to deal with these squishy bags of mostly water [laughter] they want to eat food. They don’t like to be around each other too much. They don’t want to be apart, they need to breathe. There are all these pesky problems. Pamela: You have to protect them from radiation. That’s the really tricky part. Fraser: Maybe not but if they don’t know really where they’re going and what it’s going to be like they may want the option to return home. Sending robots on the other hand, who cares? Who needs a robot? It could stay there on Alpha Centauri’s planets. How much more complicated would you say it is robots vs. people? Pamela: I can’t even guess at just how many of tens of hundreds of thousands of times harder it is to send people. Fraser: Billions of times more expensive. Essentially it will be dollars. Pamela: Yeah, just little things like radiation protection. The most simplistic way of building an interstellar spacecraft is to take an asteroid and hollow it out. To protect people from radiation you need a couple centimeters of water or you need about two meters of dirt. Asteroids are dirt. It’s useful that way. You have to go probing around in the asteroids, find one that’s nice and solid and can be mined effectively. Hollow out inside of it, add engines to it and that’s a whole lot of effort. Whereas with a spacecraft you simply build it in a way that it can cope if it gets zotted with radiation a few too many times. Lots of redundancy, you harden all of the computer systems, all of the electronics through radiation. Now you have something that is more Hummer-sized that you’re sending out across the universe. Fraser: Or paperclip-sized, who knows. Pamela: That gets kind of hard to build antennae on. Fraser: Right, I guess that’s the question. However small the antenna needs to be is sort of the limits of your spaceship. Theoretically it could be fairly small. The trick with all these science fiction shows is they get around the problem by having faster than light travel. Can we just deal with that right now? Pamela: Yeah, it’s not going to happen. Fraser: It’s not possible. According to the laws of physics as we currently understand them faster than light speed is not possible. You maybe sit some quiet place somewhere; think about this, no faster than light. [Laughter] It makes me almost cry when I think about that. Pamela: The other way to look at it is it means we’re safe if there are crazy alien dudes living on the other side of the galaxy because they have the same limitations. Fraser: Right, true there is that. Pamela: You want your enemies to be moving slowly. Fraser: Right but your friends will be moving slowly too. It just goes counter to everything that all of our popular culture, all of our media that all just says just hop in your spaceship and you go warp speed. Everything is fine, but it doesn’t work that way. Pamela: We haven’t eliminated the possibility of somehow figuring out how to tunnel microscopic objects. The people who watch Babylon 5, the people who watch the old style Buck Rogers from during the 1980s; wherever they have these crazy gates, that’s technology that hasn’t been ruled out. Pamela: Wormholes are unstable as soon as you stick mass in them but quantum mechanics may open a few doors for us maybe. Fraser: Right or some kind of teleportation. Quantum mechanics is the trick. Pamela: But you can’t travel through black holes. [Laughter] White holes don’t have mass. Wormholes collapse if you put mass in them. Fraser: They probably don’t even exist anyway. It’s all theoretical. We’re just trying to deal with the science of this which is the things that are actually possible. We talked a bit about this with the Drake equation which is that even at the slow speeds, even if it takes you 20,000 years to send your spaceship from one place to another place it’s still possible. It’s sort of like in our hectic impatient life that’s too long. It’s not even possible. Yet, when you think about the age of the universe, the age of the galaxy, the age of stars, it is a fraction of the time that it would take to travel. When you think about it, sure 20,000 years that’s just a heartbeat. In fact it would only take some civilization about a million years – I’ve read this – about a million years to traveling at one-fifth the speed of light to fully explore the entire galaxy. Pamela: That’s assuming that as soon as they find a new planet they instantly create a new spacecraft and head off. It’s like a really evil game of civilization where the first thing you build is always new settlers. Fraser: Right or you just send a whole bunch from your home planet. Pamela: But they have to multiply as they go. It’s the if you double for every new world you discover how many explorers you have. You’re going to quickly overwhelm the galaxy. It’s a resources issue and in general it is hard. People like to spoil themselves rather than exploring the universe. Fraser: You can imagine future technology once again would build some kind of self-replicating robotic technology. We send off one of these robots at a leisurely pace. It gets to the nearest star, builds a copy, goes to another star, and builds a copy. After a few million years you’ve got these robots going everywhere. It’s the Berserkers story, right? [Laughter] From science fiction except those would be very bad robots as opposed to peaceful explorers. Pamela: We’re just hoping none of them turn into the Voyager from Star Trek I. [Laughter] Yeah, it’s possible and it’s just a matter of will we be the ones to do it? Has somebody else already done it? What does it take to convince people that it is worth building your self-replicating hive of robots to go off and explore the solar systems, to explore the universe? Even though it might not be even within our lifetime that they’re able to send back results from the nearest stars let alone the nearest stars with planets. Fraser: I think that once again is where space exploration is colliding with human psychology, which is how much are we willing to embark on a project where we won’t see the output, the results in our lifetime. We will die before we know what happened. I don’t think there are a lot of people that are willing to do that. Pamela: This is where we were able to get away with it with the original Voyager and Pioneer missions. While they did the science within the scientists’ lifetimes and then we sent the Voyagers out to go and explore the rest of the galaxy. But it was a secondary mission. They’re just sort of out there occasionally sending back a random ‘hello’. Fraser: I don’t think that’s really exploring. They’re out in the heliosphere right now bumping into cosmic rays and encountering a few particles of the sun’s solar wind. They’re not aimed at any particular star. Pamela: But they will be our future dead ambassadors. Fraser: Sure and they’ll probably last a few hundred million years in terms of just what’s on them. Not their power plants but if some spaceship comes across it in a hundred million years, a billion years maybe even, it’ll still be there. Pamela: They’ll still have their plaques; they’ll still have their records. They’ll still have their attempt at communicating with those possible civilizations. So we do have our little robots. Fraser: They are leaving the solar system, right? They are on an escape trajectory of the solar system? Fraser: Alright I think this is another one of our depressing episodes. It goes from the universe is trying to kill you to the universe is trying to bore you with its pesky laws. Pamela: Economics is trying to frustrate you in the process. Fraser: Yeah if you want to travel to another star, there are a lot of problems ahead: time, energy, money and the laws of physics. Thanks a lot Pamela. Well Firefly didn’t actually have any FTL in it. That was one of the cool things about the show. The answer to the physical limts of interstellar travel is for us to conquer senescence. If humans could live for 20,000 years, a 20,000 year flight might not seem so long. Project Longshot proposed a fusion rocket. Thats sad, I want to live long enough to so witness Interstellar Travel. You could get going real fast with nuclear pulse. A lot of engineering work was done on this idea back in the 1950’s. Read Footfall by Larry Niven. Finger crossed for quantum tunneling then. I wrote a whole book on this subject titled, “Can Star Systems be Explored? the physics of starprobes” World Scientific (2008). The book is a vehicle for discussing sophmore-junior level classical mechanics and relativity, but it also analyses the prospects for sending probes to nearby stars. Sending live, fully grown human beings to another star system with the technology we know today or can project into the near (and even far) future is madness (and barring a major breakthrough hopeless as well). However if colonizing the galaxy and seeding it with terrestrial life is the goal that goal can be accomplished much easier by quite literally sending seeds. Then the life is created with local energy sources and materials. As far as I know there are no physical laws preventing us from creating seeds which can grow plants that gestate human beings (or whatever sentient form of life we choose) and we could either encode their memories genetically, include it on the transport ship or broadcast it to them from Earth. Either way we are spared the difficulty of sending a fully grown human being to another star. Frozen human embryos are seeds. We already have those. And they may be viable for thousands of years. What’s lacking is ectogenesis, Android robots, and expert systems to grow them to adulthood. But those technologies are advancing nicely. 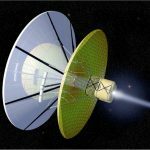 Just Google “The EGR Mission” to see a feasible near-term true interstellar mission. Leave FTL, wormholes, etc to scifi novels. Interstellar travel will not be about humans jumping from Earth to other star systems in spaceships resembling aircraft or ocean liners. Interstellar travel will rather be about roaming colonies of humans, plants, and animals slowly (relatively speaking) meandering across the galaxy. We won’t be travelling through space so much as living through it. One of the most fascinating books I have ever read is “The Starflight Handbook: A Pioneer’s Guide to Interstellar Travel (Wiley Science Editions) by Eugene F. Mallove and Gregory L. Matloff. Although it was published in 1989 it still makes fascinating reading and is still relevant. Remember Project Orion? Somebody (iirc, Freeman Dyson) suggested a large ship powered by dropping h-bombs out the back; he figured about 100 years to Alpha Cen.